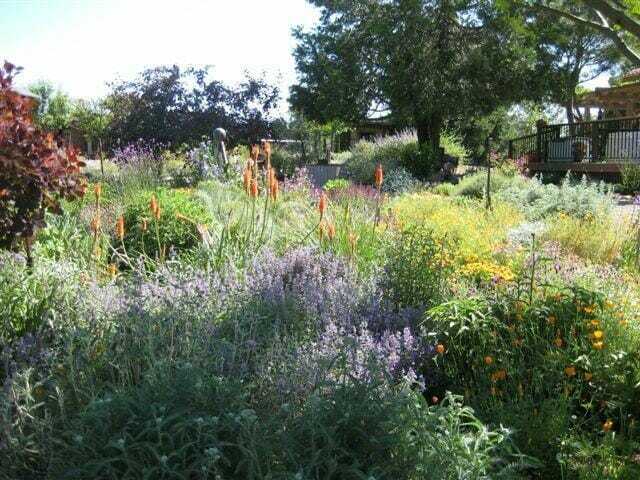 SONORA, Calif. October 8, 2018 – Mark your calendars for Sunday, October 14th, when the University of California Cooperative Extension Master Gardeners of Tuolumne County will host their twenty-third annual garden tour. This year’s theme is “Gardening with Purpose.” Purposeful gardens will demonstrate landscape ideas ranging from slightly higher elevations (the top of Phoenix Lake Road) to small spaces in Sonora Hills. This year’s tour will showcase edible landscapes, attracting pollinators, going “native,” making the most of your space and enjoying it! An autumn date was chosen to highlight how gardens can look in the Mother Lode at the end of our Mediterranean-climate summer. The self-guided tour opens at 10:00 a.m. and continues until 3:00 p.m. Again this year, the Master Gardener Demonstration Garden plant sale will feature some plants found at garden tour sites. Plants available for purchase have all been locally grown and are suitable for planting in the foothills area. Self-guiding tickets to the four beautiful private gardens, as well as the demonstration garden in downtown Sonora, are $12 per person; children 12 and under are free. Tickets are available in the Columbia area at Columbia Mercantile in Columbia State Historic Park. In Sonora, tickets can be purchased at Sonora Lumber on South Washington Street, Antiques, Etc. on North Washington Street and from the UCCE Office, 52 North Washington Street. Farther up Highway 108, tickets can be found at Nature’s Whole Food Depot on Standard Road, and The Nest in Twain Harte. Tickets are also available from your favorite Master Gardener and will be available on the day of the tour at the Master Gardener demonstration garden at 251 S. Barretta Street in Sonora, CA. Tickets can be purchased on-line at http://ucanr.edu/tuolumnegardentourtickets. The demonstration garden will also function as the will-call ticket site on the day of the tour. Proceeds from the tour fund a Master Gardener Scholarship for Columbia College students, provide operating funds for the demonstration garden and help support school gardens. In addition, funds from the tour purchase gardening reference books available to the public at the Tuolumne County Library and for master gardener reference at the Master Gardener Library. The garden tour began 23 years ago when former Master Gardener Gary Wood noticed a limited supply of gardening reference books available for use by Master Gardeners or the public. He suggested a garden tour to raise funds for books. The tour was so successful that it has become an annual event. Garden tour tickets contain a map with directions to each of the homes. There will be directional signs on streets and roads leading to the gardens. Master Gardeners will be on hand at all the gardens to answer any questions you may have about the gardens on display, your own garden, or gardening in general. The demonstration garden offers respite, shade, refreshments, restroom facilities and extra tickets for your last-minute out-of-town guests, along with the plant sale. · Bring a hat, sunscreen and water, and wear comfortable walking shoes. It’s likely that the weather will be sunny and warm. · You will be visiting residential neighborhoods and parking may be limited. Carpool if possible. · Bring a camera. Ask permission from the Master Gardeners on duty before taking any photos. · Stay on marked paths. · Do not clip or injure plants. · No smoking. No pets. No strollers. No food. No litter. · Turn off your cell phone or at least put it on ‘vibrate’ mode.